There are no movies like dog movies, but there’s a definite difference when you’re watching a real bond between human and dog, not a scripted one. We found out when we watched SEARCHDOG, an indy film produced and directed by filmmaker Mary Healey Jamiel. 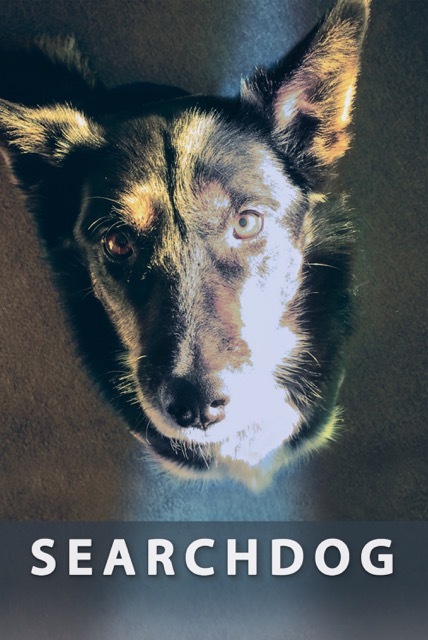 SEARCHDOG is unlike any “dog movie” you may have seen before. The film follows K9 Search & Rescue team Matt Zarella and Maximus. We get to watch Matt and Max teach other humans and dogs to work together, and learn how they came to be in this unique line of work. More than anything, we get to see that impossible things can be accomplished when humans and dogs develop and genuine love and respect for each other. The two share an incredible bond that can be felt throughout the film, and help other teams develop theirs. Jamiel calls it a labor of love, and after years dedicated to telling this story, the film is ready to be released this summer! iHeartDogs got to ask a few questions about the film, and the work that went into it. iHD: What made you choose this topic, and Matt and his work as your subject? I began to watch videos of K9 handlers and dogs working together, in fact, training together. Watching a human and dog team working together and witnessing their unmistakable bond and courageous effort strikes at your soul. I wanted to understand the inside story of a K9 handler, especially a K9 Search & Rescue Handler. I wanted to know the stories of K9 searches, and so I set out to capture some of them. I was fortunate to be granted permission to follow Matt Zarrella and the Rhode Island and Maine State Police K9 Search & Rescue Teams on trainings and missing persons searches throughout New England. I documented trainings and searches for over four and a half years. It was a life-changing experience. In SEARCHDOG the viewer gets to travel alongside these K9 teams over the course of years on real missing persons searches and trainings. iHD: Did working on this film change the way you think about dogs? Yes! It’s thrilling to watch these teams train together and then go on to find missing persons with their dogs. Watching K9 teams helps you learn a lot about leadership and partnership, which is thoroughly built upon trust and respect. As a life-long animal lover, I had yet to experience a trained working dog’s intelligence and spirit. Dogs are masters of understanding us. K9 Maximus, one of Matt’s beloved K9’s you’ll meet in SEARCHDOG secretly untied my shoes during one of our long interviews at Matt’s house. To Max I was a giant toy! But he was also a great protector. Max would come up to all of us on a search to quickly check make sure we were ok and then go on to continue working. We humans exist in the realm of words, preoccupied with talking and thinking in words. Dogs understand humans in ways we can’t imagine. I love their mystery, and I’ll never tire of watching them work and play. iHD: Is there anything else you’d like people to know about this film? Sure! Ruby, alongside her handler Dan O’Neil, continues to thrive as a RI State Police K9 Search & Rescue dog. She is up for a National K9 Hero Dog Award after having saved the life of a teenager after he had been missing for 36 hours. The amazing part of the story is that the boy’s mom had been one of Ruby’s foster placements when she had been at the shelter! It’s a wonderful story of great Karma and love. You can vote for Ruby here and find out more about her status on our SEARCHDOG Facebook page. Folks can sign up for our newsletter which features sneak peek footage and interviews from SEARCHDOG, as well as interviews from leading canine experts, handlers and authors. Check out this “sneak peek” of SEARCHDOG, exclusive to iHeartDogs! SEARCHDOGHeartOpen from Lucy Bean Films, LLC on Vimeo.